Bridget, my 8 year old, is a budding artist. She enjoys drawing, painting, coloring and making me homemade gifts all year round. Our fridge proudly displays many of her recent drawings and we have crafts that we’ve made together spread throughout the shelves in our home. When Bridget is busy working on a project, I know it will keep her busy for a couple hours at least. I always try to encourage her to be creative and to explore her imagination. 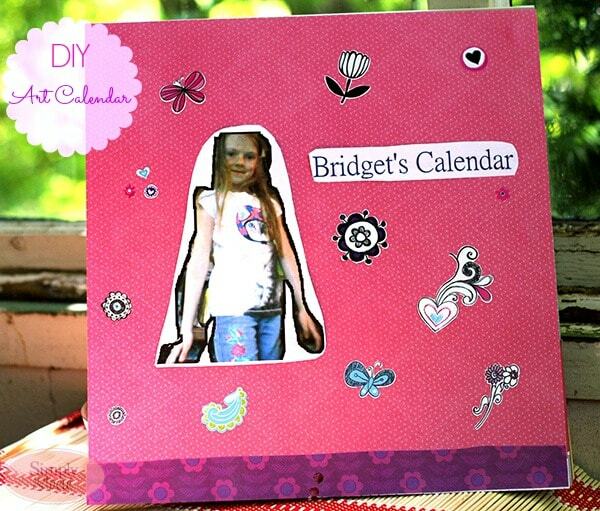 Now that Sony and Intel have provided our family with a VAIO Tap 20 All-in-One PC, Bridget has another creative outlet. Honestly, I was amazed at how quickly she picked up using many of the games and programs on the PC. She was showing ME how to use them! 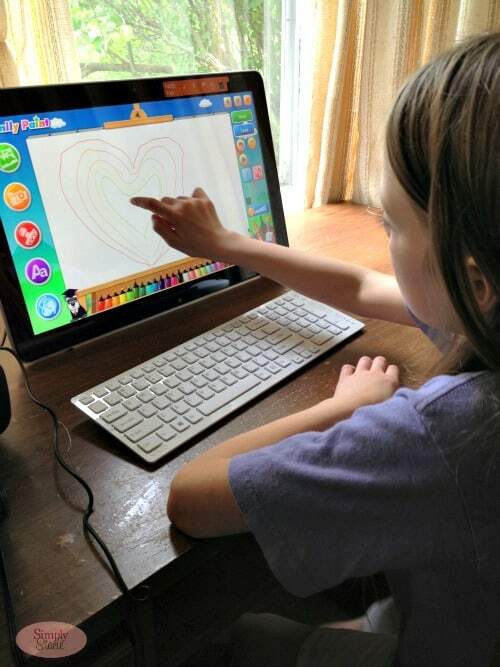 Family Paint is Bridget’s favorite program on the VAIO Tap 20 All-in-One PC. She has spent hours creating new works of art using the various tools available on the program. Family Paint is very kid friendly. 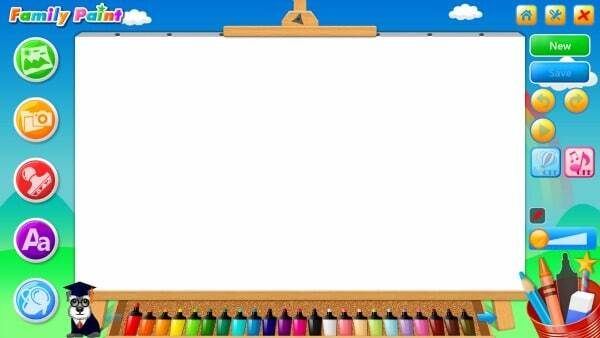 Kids can touch the screen to draw or use the mouse. 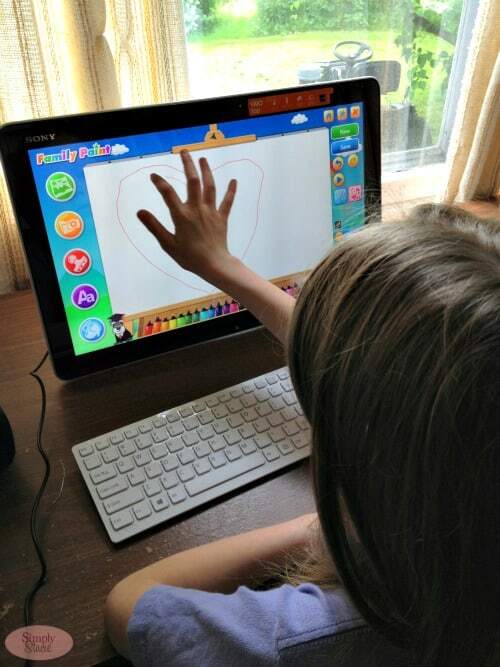 Bridget likes to use her fingers and draws right on the 20 inch IPS LCD Touch Screen. Normally, she’ll sit in our home office at the desk and work that way, but sometimes she brings the touch screen into the living room to work on the couch. This PC is portable and you can work from any angle from 15° on a desktop all the way to 90° on your lap. The built in battery lets Bridget bring it anywhere she wants in the house. 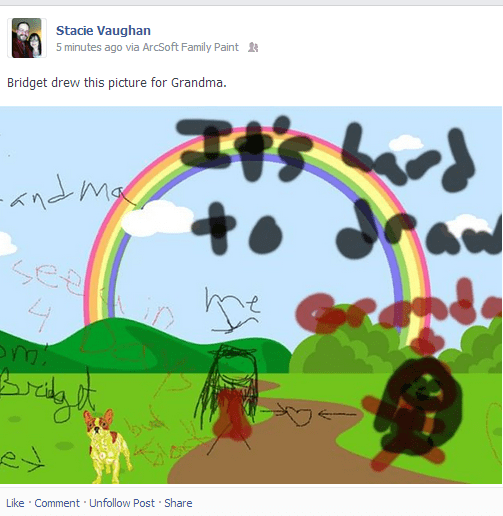 Bridget has used pretty much all the tools available on Family Paint. 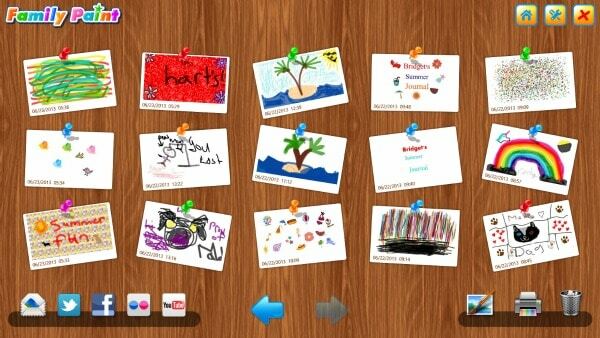 She’s drawn pictures with the crayons, markers and pencil crayons, added stickers and text and even took pictures of herself with the webcam to add into her drawings. She’s quite the little artist isn’t she? She asked if I would email the pictures to Grandma. I also shared it right from Family Paint to my personal Facebook profile to show my friends and family. In this picture, Bridget says “it’s hard to draw Grandma”. She tried though and that’s what counts! I’m a big believer in giving kids room to be creative and I think that the process is the most important part of the equation! Even if the finished product doesn’t turn out the way Bridget originally envisioned (like the picture she drew of Grandma), it’s still a learning experience for her and aids in her development. Creativity helps kids express what they are feeling. It’s not always easy for a child to verbalize their thoughts and sometimes drawing a picture is the best way to get the point across. Plus seeing the joy it brings my daughter makes me happy. I love seeing the smile on her face when she shows me what she’s made. I always tell her that she did a good job and how much I love it. Bridget and I made a Summer Journal a few weeks back. It was a fun project that combined technology with creativity. 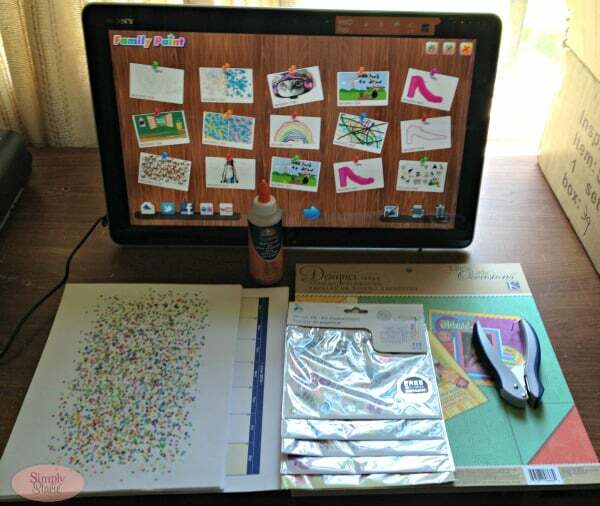 I thought it would be neat to do another project, but this time do something that would showcase her collection of drawings she made using the Family Paint program on the Sony VAIO Tap 20 All-in-One PC. The idea? An Art Calendar! We used a different drawing for a 12 month period. You could make it longer or shorter. What’s cool is that we used a pad of cardstock paper so we can keep adding to it as the months pass by. You could use any notebook you had on hand. 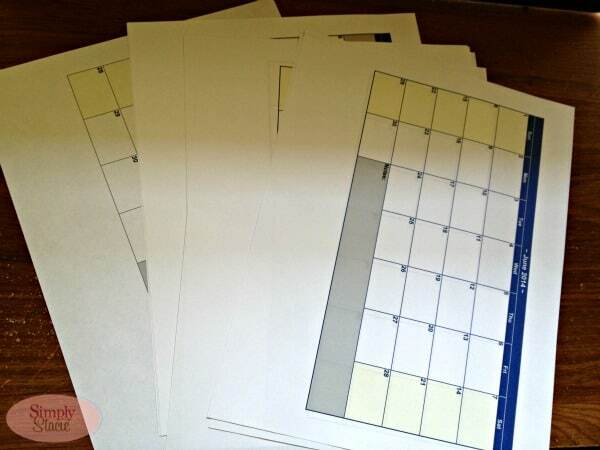 For the calendar printables, there’s free calendar templates online you can use. I edited them in Word and printed 12 for each month starting in the current month (July). 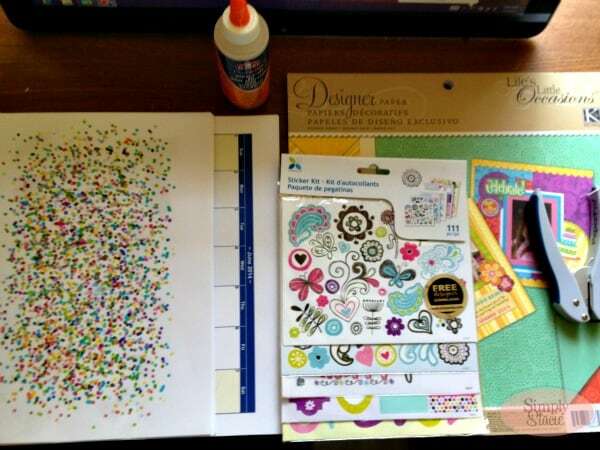 Step One: Glue the artwork and monthly calendars into your cardstock pad or scrapbook. 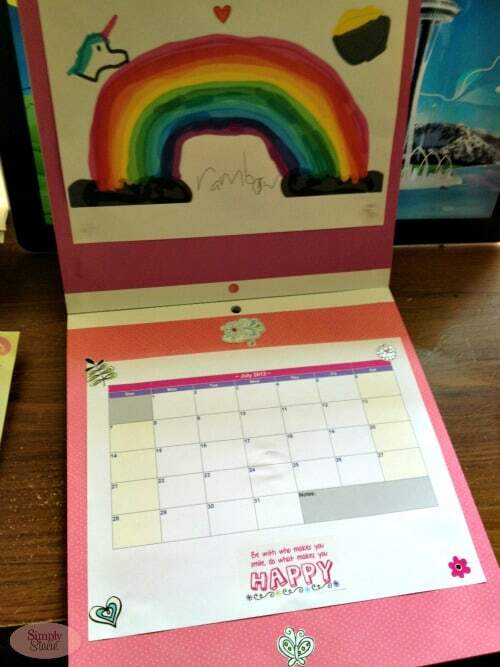 I put the artwork on the top and then the calendar below like you would traditionally see on a calendar. 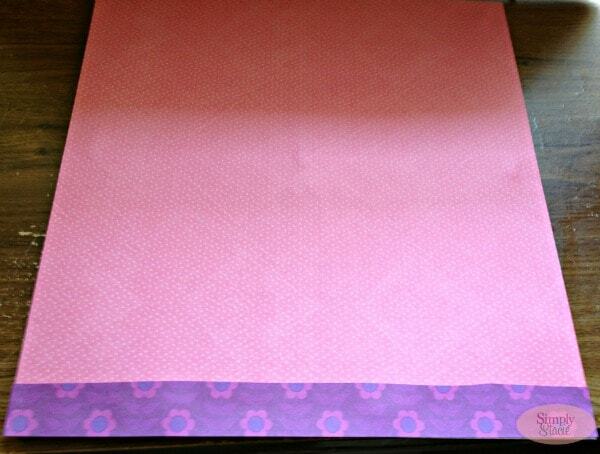 Step Two: Glue a piece of cardstock to fit your cover of the calendar. I cut an extra strip at the bottom to cover up where they had the hole punch. 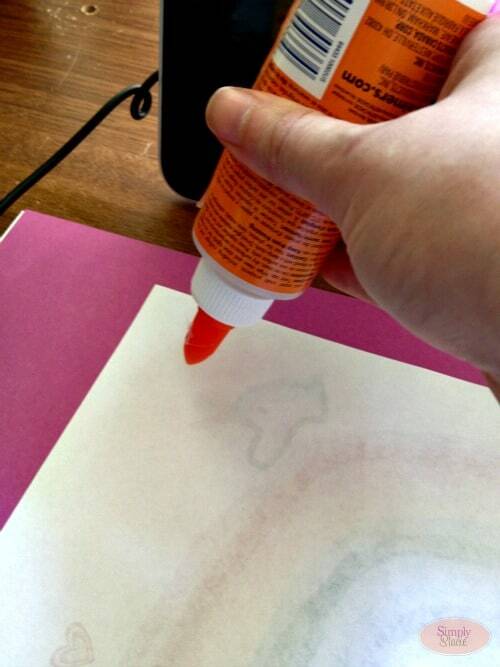 Step Three: Decorate your cover with cutouts of more art from Family Paint. 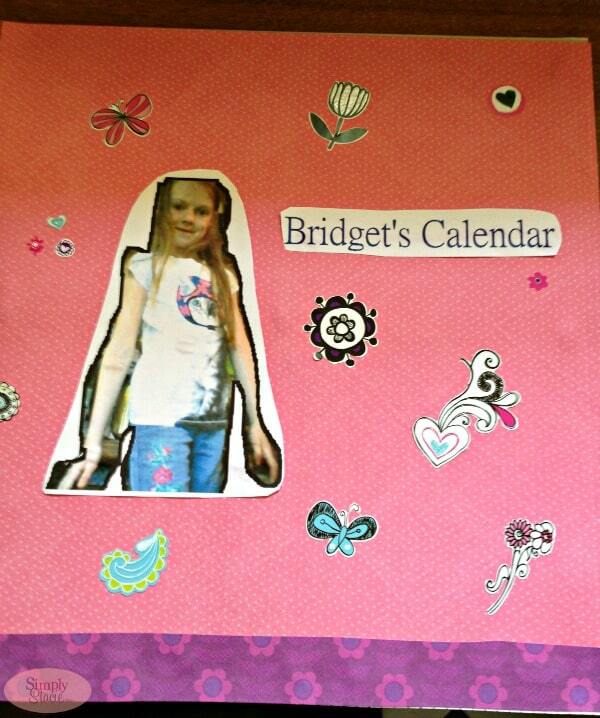 I used an image that Bridget took of herself in Family Paint as well as some text to indicate it was “Bridget’s Calendar”. Add some stickers to decorate if you like. 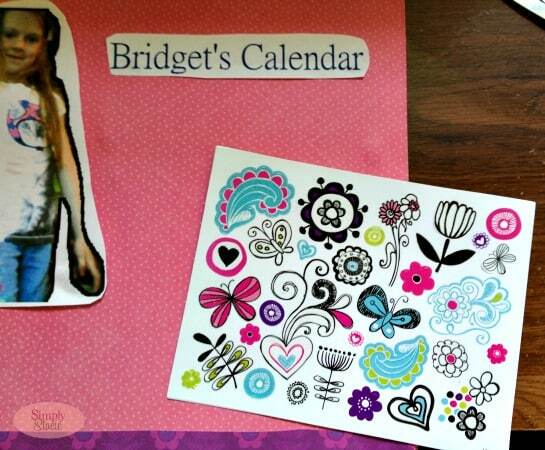 Step Four: Take any leftover stickers you have and decorate the pages of the calendar. 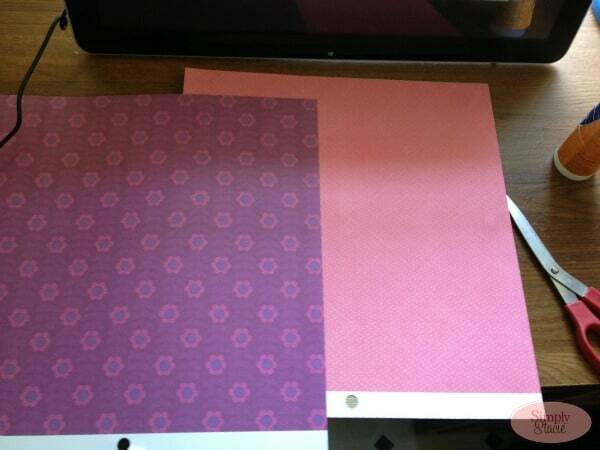 Step Five: Use the hole punch to make holes at the top of the calendar so you can easily hang it. It’s a simple project, but is also a meaningful keepsake for my daughter. 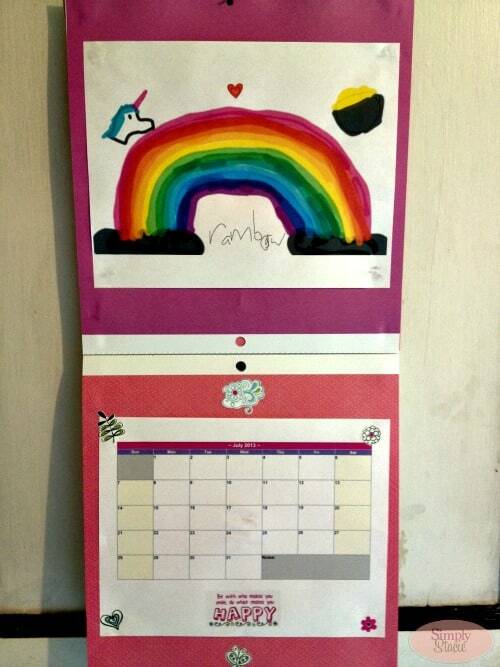 We have a calendar hanging in our home office so I’ve replaced the old one with Bridget’s Art Calendar. I love seeing her beautiful work every day! I cherish all of them. As Bridget gets older, her love for art may or may not change. Either way, I’ll always do my best to encourage her and let her creative soul lead the way. Love the Sony VAIO Tap 20? Sony and Intel are giving away a Sony VAIO Tap 20 All-in-One PC to one lucky winner! This looks like SUCH fun for the kids. 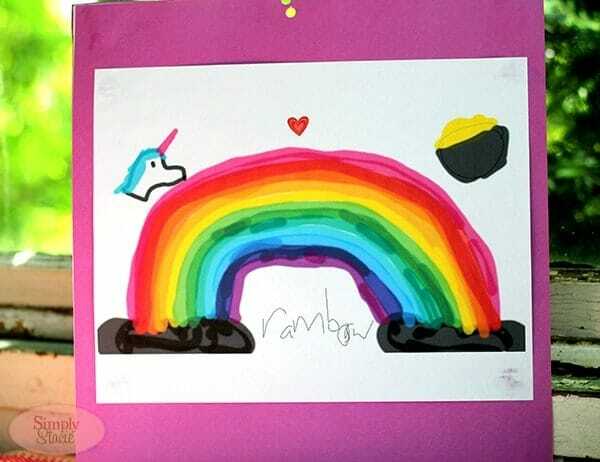 I love your daughter’s bright and fun art, too! 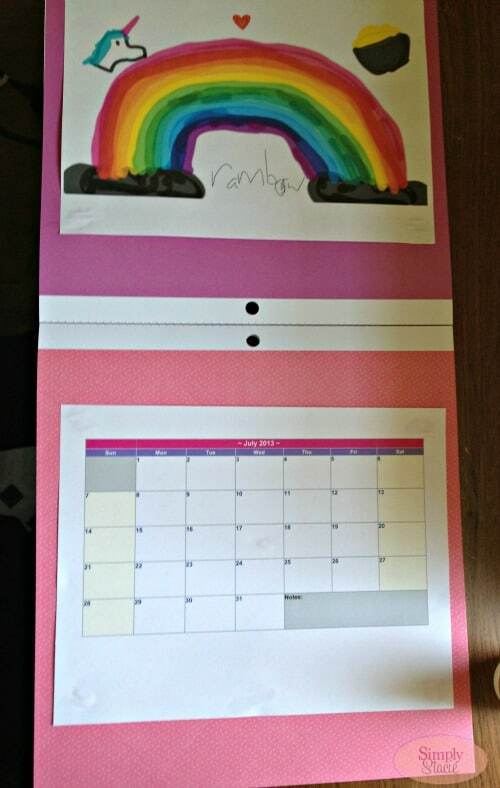 What a neat way to create a personalized calendar. I wish I had something like this when I was a young girl. 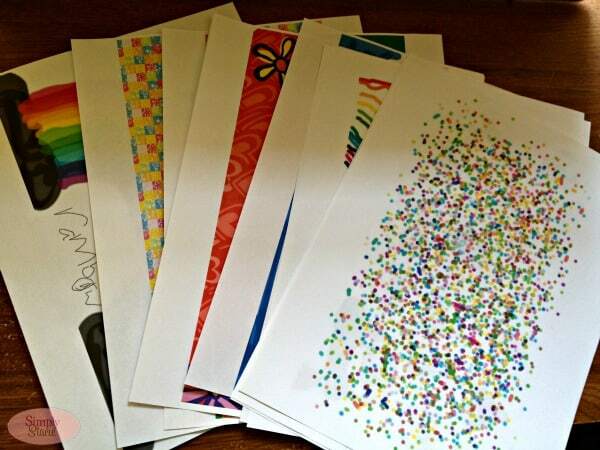 It’s really cool that you can print our your color drawings. With my son in three different therapies and being a sensory seeker this is a perfect desktop for him! I know I will end up with an upgrade in a few years, thanks so much for sharing this. This looks like something my boys would really love! 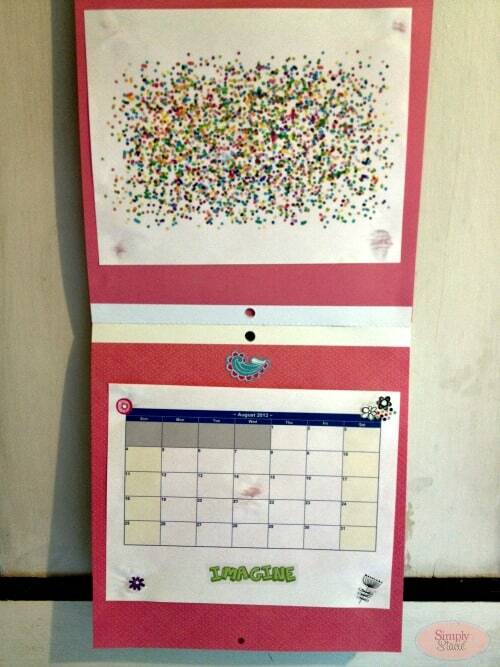 What a great idea with the calendar. A perfect way to make sure your children say in the loop with what is going on with your family! That looks like so much fun and what an artist you have :-)!!! I think it is a great way to express themselves, I am gonna have to share this with my sister, I know my niece would love creating masterpieces like this! How cool. Love the printables. That is so cool! Tell her I love all of her artwork! That’s a neat way to make a calendar. Love her artwork! Another helpful post, thanks! Always looking for activities to do with kids! I wish we had these when we were young. My daughter is a fantastic artist as well but she is a bit older (*sigh* a hormone filled teenager lol) so this may be a bit out of her age range but it sounds like a really good program! Thanks for sharing! That is the coolest thing. It’s amazing what you can do with technology today! This opens up so many avenues for children to be creative. As a preschool teacher…way back…I always encouraged parents to take pictures of their child’s artwork for future viewing. This takes it to a whole new level and I am thoroughly excited about it! Awesome! Very creative and hours of fun. Plus this is something that would work for many ages. I love all the options and colors available. My grandson loves to color and create things. He’s seven, and this would be great for him. Portable is nice too. How absolutely fabulous is that!!! Fantastic job & I am in LOVE with the creativity!!!!!!!!!!!!!!! My Daughter would be over the moon when doing something like that!!!!!! My grand kids would be on it all the time! They are all very creative! This is SUCH a great idea for kids, especially to use with my special education class I teach….thanks for the great review, I’m going to show my principal and keep my fingers crossed! I love the calendar idea. My 4 year old daughter is really into crafts and I hate to throw out some of her pics, Im so going to make calendars for myself, mother and grandma for christmas! Ill have to go to micheals and look for blank calendars. Love her artwork,just beautiful ! This looks like something my grandkids would really love,it would be so much fun !